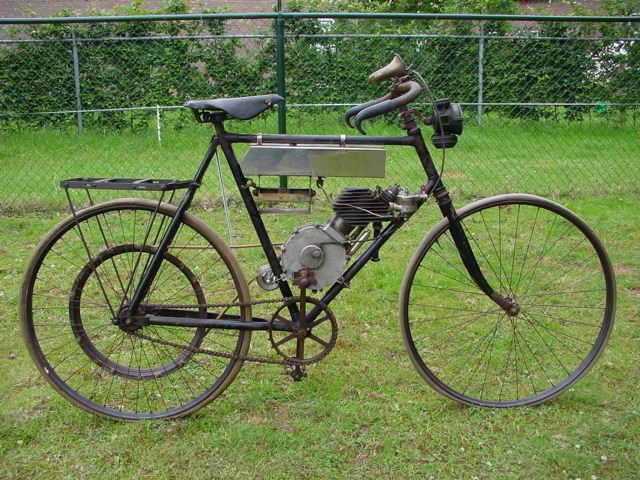 In 1899 the brothers Henri and Armand Dufaux from Geneva, Switzerland, designed a little four-stroke engine. 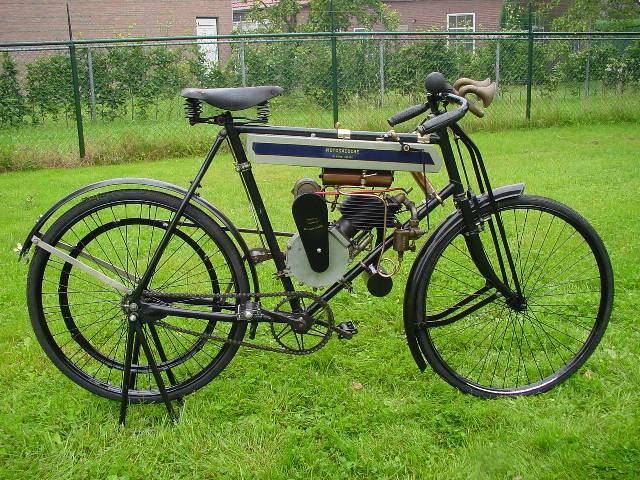 This compact unit could be bolted into the frame of any ordinary pushbike: The "Motosacoche" - which approximately means "engine-bag"- was born! Very soon the quality and practical utility of the invention became known even far beyond the Swiss territory. 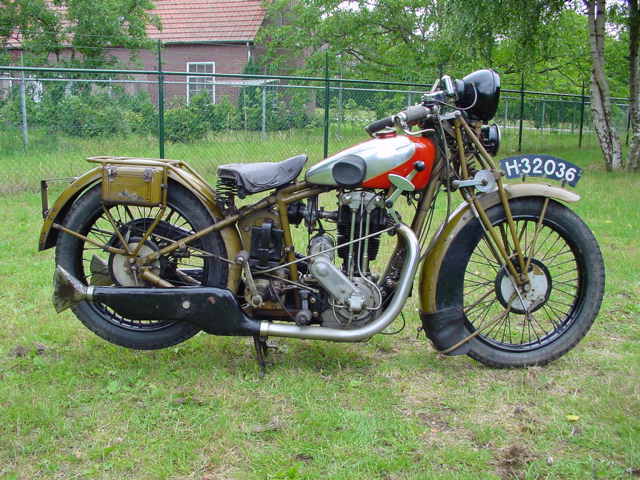 Gradually the engines became bigger and more powerful, twin cylinders were produced and the initial idea of a motorized pedal-bike was given up. The factory built complete motorbikes under the "Motosacoche" label, but kept on selling M.A.G. (Motosacoche/ Acacias/ Genève)-engines to many well known manufacturers in France, England, Germany, Austria and Italy. In France and Italy there were even factories producing Motosacoche motorcycles under licence.